If you are a geek and love fiddling around with the tech related stuff on Android, and HD games, fun apps, educational apps are not your cup of tea, then Barcode Scanner is the way to go without thinking twice. Created by ZXing Team, this developer might not have a lot under its belt, yet with the the download numbers for this app reaching high 250k you just might be for a real treat! The app is very well made and can be used to scan all sorts of barcodes. Once the barcode is scanned via the camera, the app goes online and searches for the relevant material, and Voila!, all the necessary details are on your smartphone screen. The app also allows for the scanning of Data Matrix and QR codes which contains URLs, contact info and the works. The user-interface of the app is very slick and the app itself does the job very well to say the least. 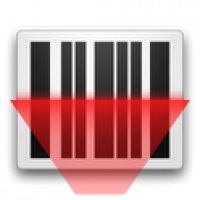 Compared to other Droid scanner on the Market, Barcode Scanner provides functionality with simplicity. Overall, this is an app that does not make much sense to the casual Droid user, but the advance user can always fiddle here and there for getting the maximum potential out of a worthy ecosystem.